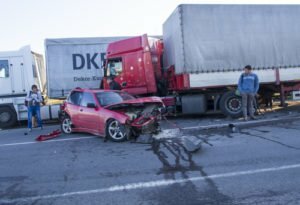 Have you been involved in an accident involving a truck? If you have and have been lucky to step away with just injuries, you should be thankful but also take legal action. There is no telling the amount of pain you went through or are still in (physical and psychological). You should make an accident claim and get paid for your distress this truck accident has caused you. To do this, you would need the legal representation of an experienced truck accident attorney. If you live in or the accident occurred in Moreno Valley, CA, then you’re in luck because Rawa Law Group is just a call away. Rawa Law Group has built a reputation for itself over the years and is known for housing some of the best legal minds in handling personal injury cases like truck accident cases. Rawa Law Group has more than 50 years of combined experience in this industry and we stand out in our relentless fight for the injured. Our services come with some unbeatable incentives/advantages. We offer a free consultation with our clients and only require payment after winning the case. We also have sessions where we give out useful legal advice for no hidden fee. Our appointment hours are flexible and can fit anyone’s schedule. When needed, our attorneys can also visit your hospital or home. As we work with you on your case, we ensure that you are aware of whatever progress we have made – an act which gives you confidence and presence in the case.